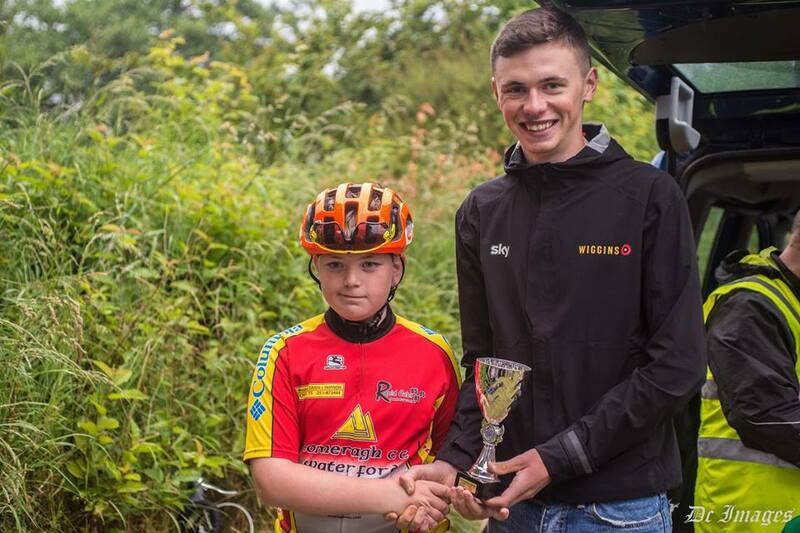 Carrick Wheelers Underage League 2016. 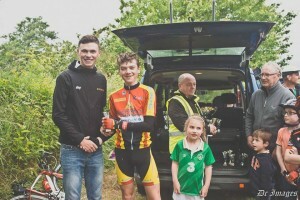 Our friends in Panduit Carrick Wheelers ran their annual underage league on the Faugheen course in association with O Ceallachains bar which finished up this week to coincide with national Bike Week. 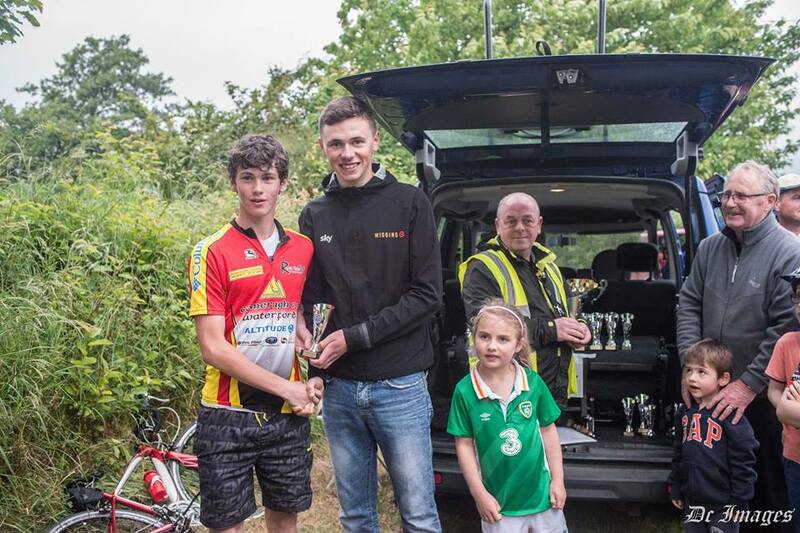 The league is fantastically ran by Martin O’Loughlin and co. and huge credit must go to all involved in what is thoroughly enjoyed by the young competitors, boys and girls, from ages 10 to 16. 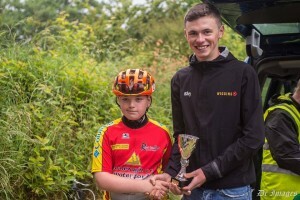 A big boost for all competitors was that, regardless of their finishing position, they all took home a trophy on the final night. 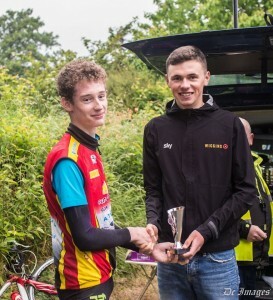 On hand to present all the trophies on Monday night was Carrick’s own Michael O’Loughlin, who has joined the pro ranks and now rides for Team Wiggins. 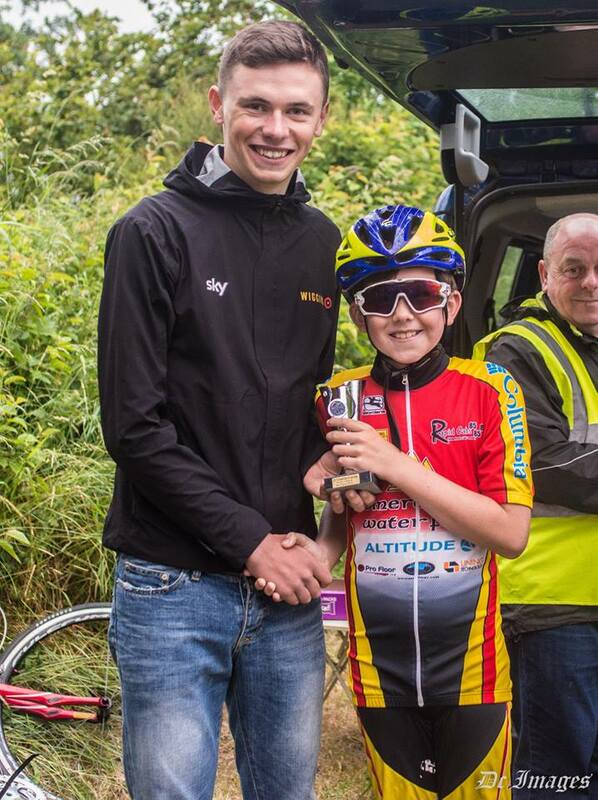 All the youngsters were thrilled to meet Michael, fair play to him for taking the time to present the prizes. Comeragh CC was very well represented in all ages from Hayden Power, who took victory on one of the nights to the seven under 16 lads who will be in the Junior ranks next year so this was their final Carrick league. The first week was an individual time-trial consisting of one lap of the 3.3km course to determine the time gaps for the following week. 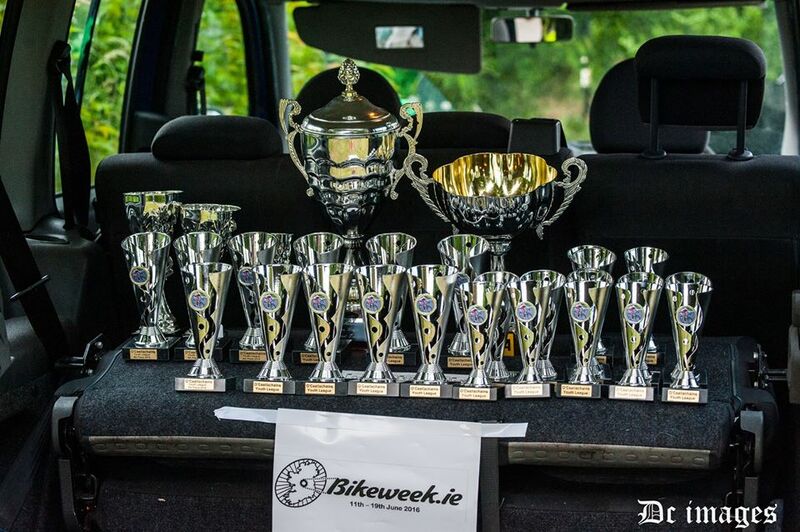 These time gaps were then altered week-by-week as needed by the organisers and they had it off to a T every time. Fair play to them. Overall honours this year went to Comeragh CC’s Jake Hogan. Jake took victory on week 3 and his consistency over the other weeks earned him the winners trophy. 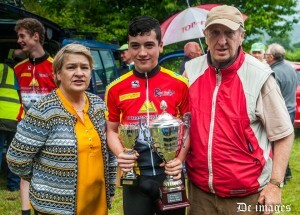 Jake showing off his winners trophies with proud Grandparents. 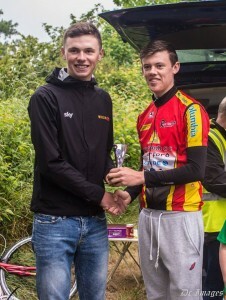 Second place overall this year also went to a Comeragh CC rider. 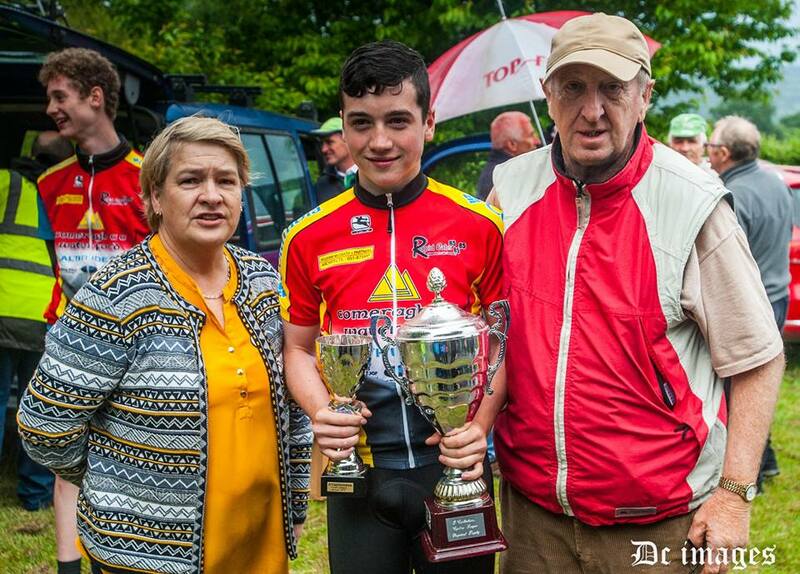 The very accomplished and always well kitted out, Jamie Merriman. 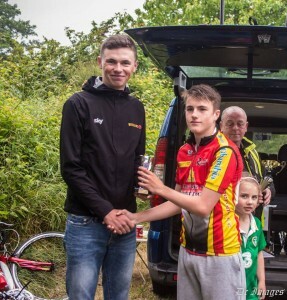 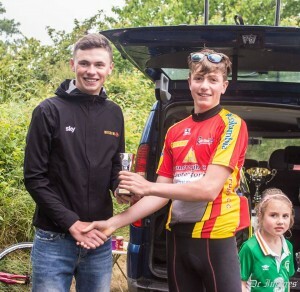 Rounding out the overall podium and completing the clean sweep was Comeragh CC’s Hayden Power, son of Ciaran. Nice Jawbreakers Hayden. 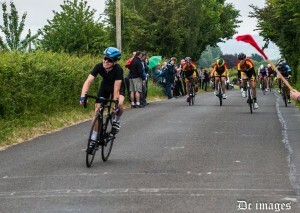 Big thanks once again to John & Dave Coleman for the great pics. 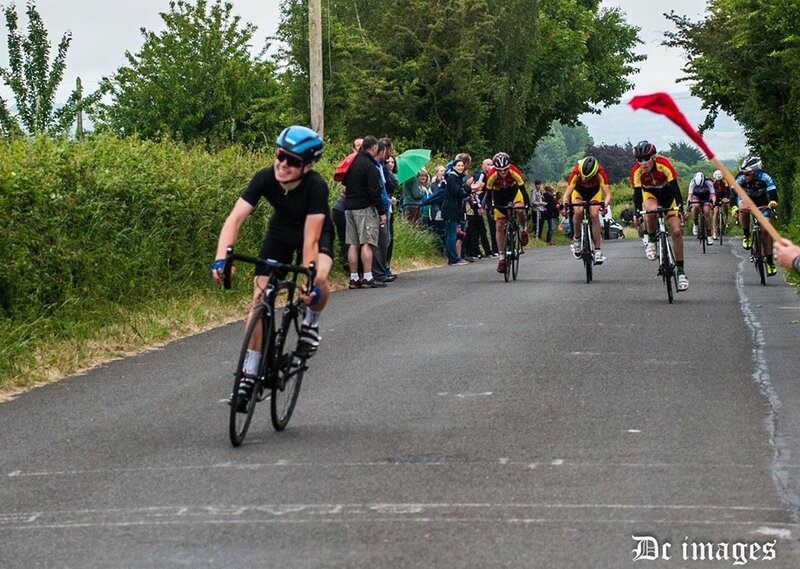 Dungarvan CC’s pocket-rocket Mark mcGarry takes the sprint for second place. 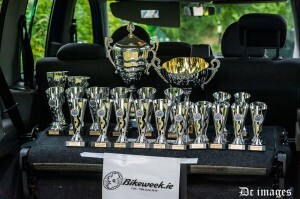 All of this years participants who were in attendance Monday evening.